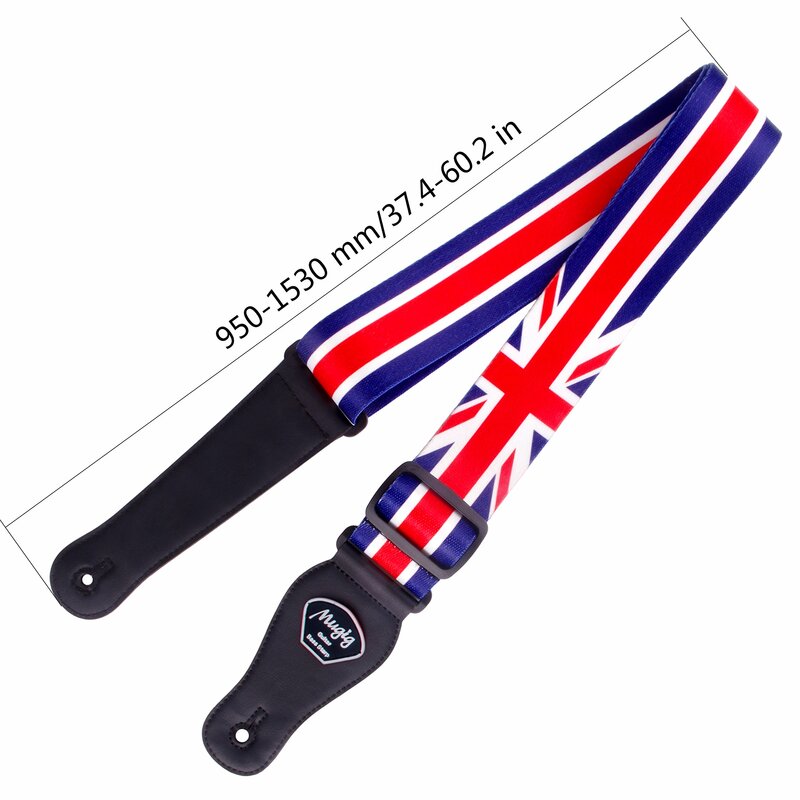 This strap is perfect for what we were looking for . 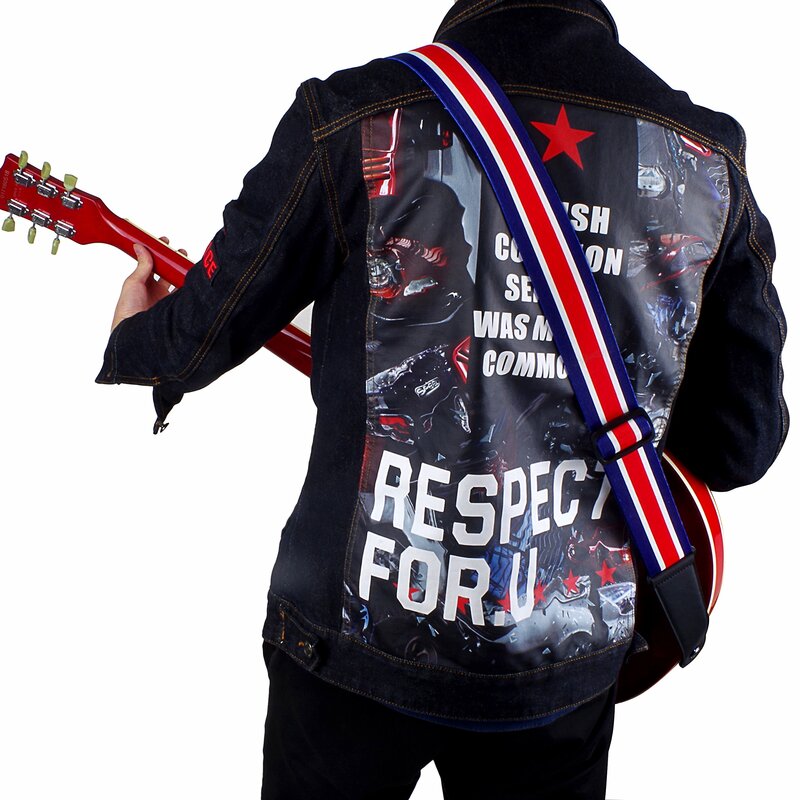 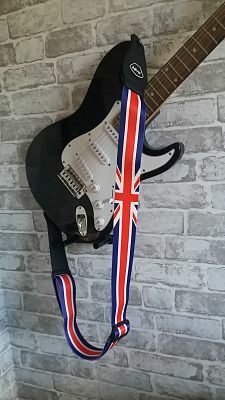 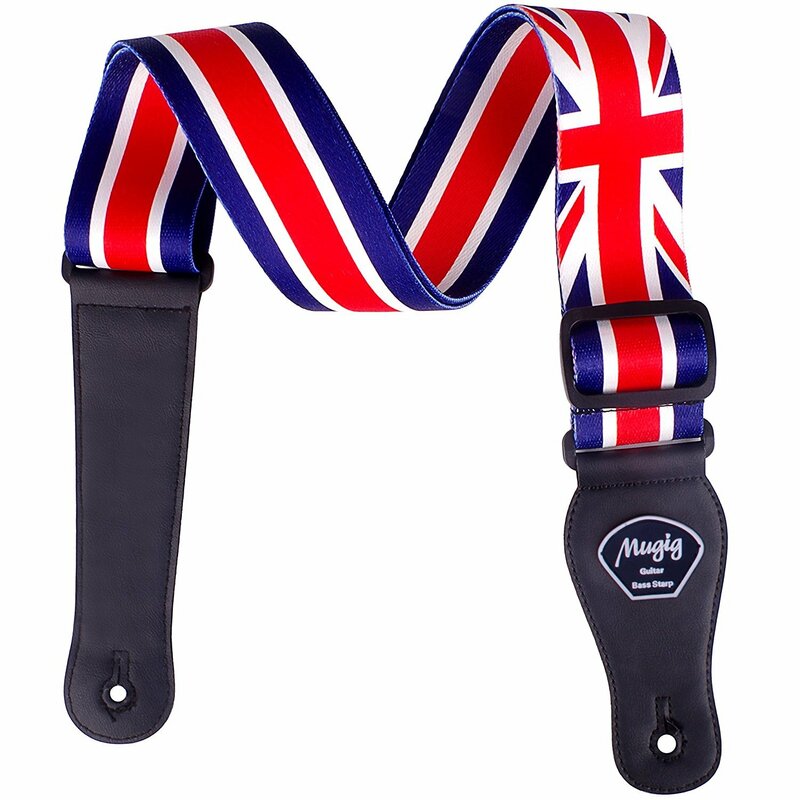 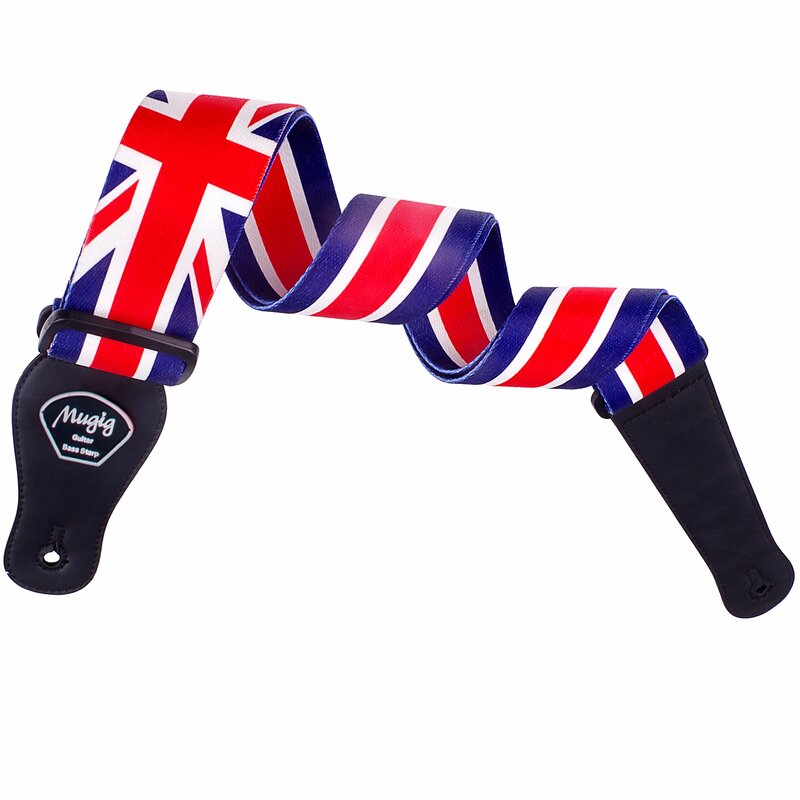 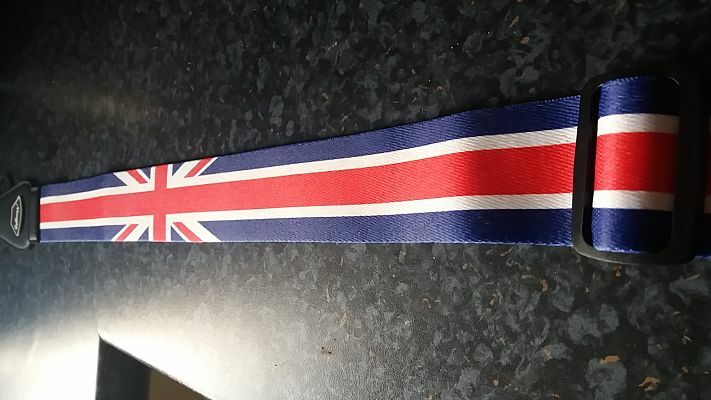 The design is of the union jack , which is perfect for the punk feel with it great british flag design and colours that my my husband needs for this weekend . 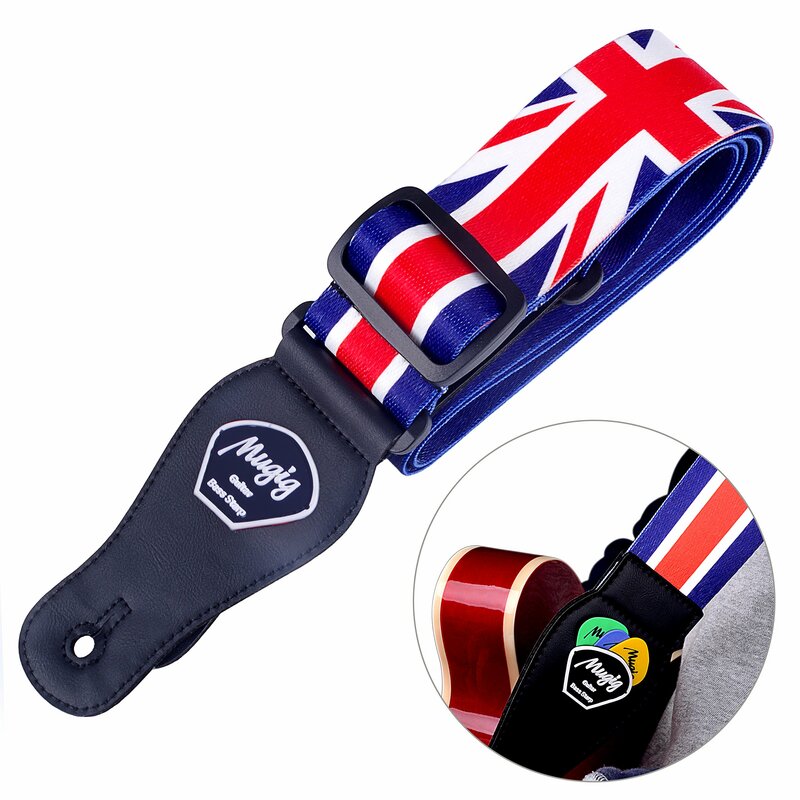 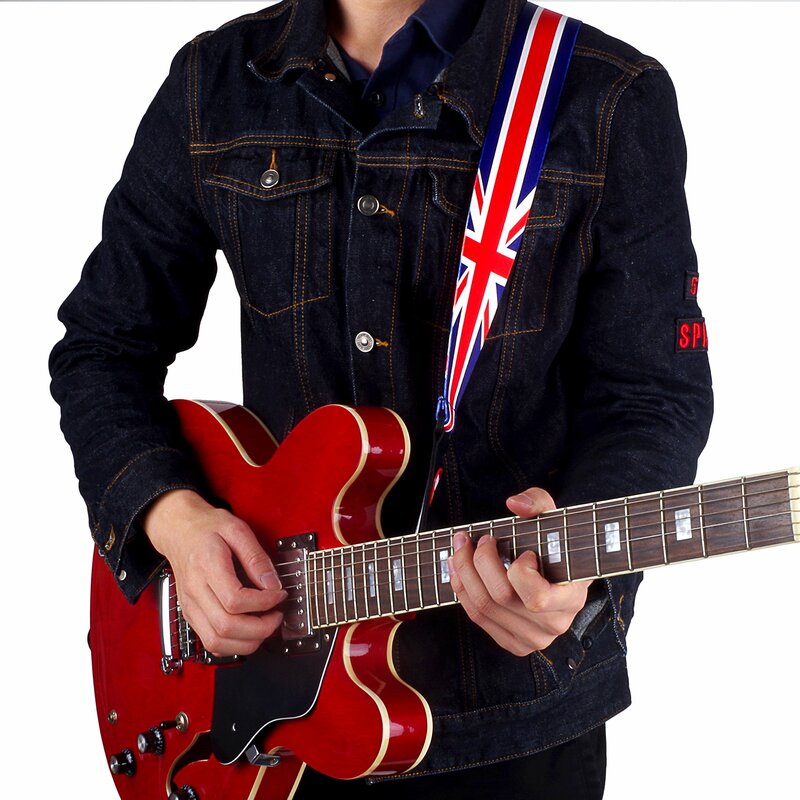 The strap itself is really soft and adjustable from 95 to 153 cm , behind the logo on the leather end of the strap is a little pocket for your plectrum. 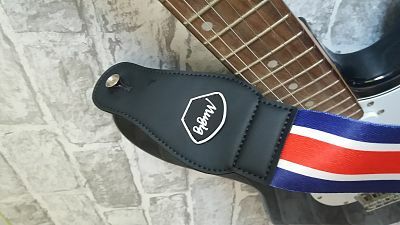 The stitching is really neat on the leather ends . 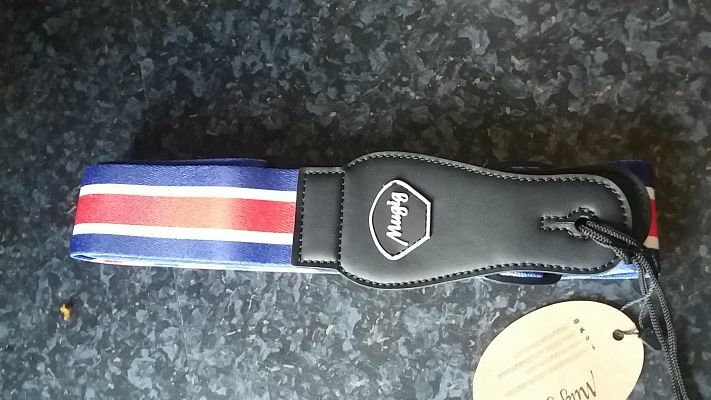 This strap was in good packaging and arrive quickly .